With days getting shorter, nights becoming longer & the temperatures across the UK starting to plummet (despite a few balmy ‘Indian summer’ days) It’s around now our fashion focus begins to turn towards an Autumnal wardrobe (sob). So what better timing then, to share with you my latest brand discovery: Kaleidoscope. Well, technically, not my latest discovery, as I recall it from my teenage years: a tired looking clothes brochure, perched on the edge of my mum’s coffee table, collecting dust. Back then, the clothes which lined the pages, were items that didn’t have huge fashion appeal, but catered more to ladies of a ‘certain age’ *cough, cough*. In the name of research, I asked friends for their memories of Kaleidoscope, & it appears I wasn’t alone in my recollection……but Wowza, what a difference a few years makes! Back in May, I attended a press launch for the Kaleidoscope Autumn/ Winter 2014 collection (with a fair bit of hesitation it has to be said). What struck me almost immediately was how fashion forward this brand has now become. & As I flicked through the rails, I couldn’t help but pick out my favorite items, whilst also eyeing up some options I knew my Mum would be impressed with too. It then occurred to me: Kaleidoscope was now a label with the ability to create pieces that can transcend through the generations. With great attention to details, such as the cut, fabrics, mixed mediums, & an impressive range of accessories to compliment the line, I was converted: Enter Kaleidoscopes newest fan! But no, the trend I am referring to is of course: Pyjama pants time. That’s right, comfy slacks at the ready for us to shed those restrictive skinny jeans, preparing to melt into the sofa. Ahhh, & reeeelax. Shoes: What is it about them, that get us hooked? Specifically as a lady, our body weight & shape can constantly fluctuate (due to those blasted hormones or pregnancy). Your favourite pair of ripped denim skinnies might fit like a glove one month but the next cause crippling nerve damage: reducing you to walking with a limp (we’ve all been there!). Where as, a pair of alluring shoes you’ve owned for years will be your faithful friend, your trusty steed: they wont let you down, (or make you feel fat). They can evoke those feelings of nostalgia from times gone by & make you feel young & glamorous, or just like you again (the part we so often loose along the way!). Well, this is what I kid tell myself to justify yet another pair for my collection. & There is always room for more, right? *nods head*. I tend to try & purchase good quality shoes, that will last a lifetime & this isn’t an excuse for why my collection is so vast- it’s the simple truth. I had the pleasure of attending a launch party for the shoe brand Solillas (Sol-E-yas), in the oh-so-trendy district of Shoreditch last week: a very dangerous affair for a shoe –hoarder-a-holic like me. Although the brand itself have been around since 2011, this is their first ‘pop up shop’ & you can find them at Boxpark. In today’s society of ‘excess’, where there is an abundance of labels, different styles & constant promotions, it takes something very different & unique to grab my attention. This brand did not fail to impress: Frankly, I can’t stop thinking about them, & much to Mr. Cool Bananas dismay I’m compiling a list of all the colours I want them in! They’re a simple yet fresh take on a more traditional Balearic style sandal, with a fashion edge to win you some extra style points & they’re available in a huge array of on trend colours. My feet felt like they were in heaven! The level of comfort from slipping your tootsies into these is simply divine! Style & comfort? It’s not often you find this winning combination in a pair of shoes! Sandal love! Foot Heaven… Did someone say leopard print?! They’re built to last. & last, & last. Actually I could go on forever with this list! One of their phrases is: ‘Boho a state of mind, not just a look’. A philosophy that resonates with me. Oh & they have a ‘bebe’ & ‘nino’ range for the little ones. Did someone say matchy matchy? Yesssss please! Jonnie & Sarahjayne: Solillas founders & directors. Your inspiration for the brand & collections come from your passion for creativity & the free spirited lifestyle of the Balearic Islands. If you had to choose, which one of the 4 Balearics beauties would be your top destination? : Ibiza. It’s a very special and spiritual place. It truly is multi faceted with something for everyone. When did you first visit the Balearics (& which island did you land upon? ): The first place my parents took me on holiday, as a toddler, was to Menorca. My family loved the islands & since then, we have made it our second home visiting every year. & Now that we’re parents, we love to be able to share our cultural experiences of the Balearics with our own toddler. Solillas ‘senora’ collection: My eyes can’t help but be drawn to Electrico. Cobalt blue is big this seasonal and, so far, its our bestseller at our store in Boxpark. We picked a suede leather to give a glamourous edge and I hope it can be viewed as a pool to bar kind of sandal. It’s the first time we’ve used a caramel sole. It lifts the colour and makes it even more summery. The Solillas ‘Nino’ collection: Leopardito without a doubt! It’s the ultimate ‘mini me’ style for a daughter. The Solillas ‘Bebe’ Collection: Lunita – I love the classic Balearic styling – off white leather with a rose gold strap for a bit of added bling. The Solillas range exclusive to office? The Palm print – its the first time we’ve created a bespoke pattern design and the first time we’ve used a leather lined fabric. It’s different, effective and I’m looking forward to experimenting more with this technique for our SS15 collection. People often associate the Balearics with a hedonistic lifestyle, for party animals. But you can often be found there with your family, which location gets your ‘family’ seal of approval? : All of them! The Balearics are the ultimate destination for family holidays. We love strolling around the historic old towns – Ciutadella in Menorca and Dalt Vila in Ibiza. I love the romantic architecture, the beautiful shops and the amazing Mediterranean restaurants where kids are more than welcome – family is so important to the locals. For time at the beach, Cala Galdana in Menorca provides a traditional setting with a stunning shallow water cove and well kept sands. You’ve had an incredibly busy past few years (not to mention having a baby as well), & the brand has been going from strength to strength: What are your hopes for this year & in the long term? : We are trialing a few things this year that I hope are a success & we can build on in the future. In the past, we have had a lot of requests for men’s Solillas so this year we have introduced a range designed specifically for men, which have a wider fit and a rustic recycled tyre sole. We have also collaborated with a number of Balearic artists to design a small range of t-shirts. We love working with local talent & hope to expand this range in the future to include more designs and products. The bottom line folks is this: If you only buy one pair of summer shoes this year: then they simply, without a shadow of a doubt, must be from these guys. You can purchase directly through their website HERE, or the exclusive Solillas OFFICE range HERE. One of the many perks involved in being Mrs Cool bananas (apart from the ‘available on demand’ toddler cuddles), is that occasionally I’ll receive an invite to attend a rather trendy press launch. This was the case earlier in the week, when Felicities were hosting an evening showcasing some of their clients’ portfolios of work. Primarily I headed there in the anticipation to discover more about Keungzai: the contemporary, luxe brand aimed at mothers & mothers to be, created by Michelle Lee. Once you discover you’re pregnant, through to becoming a mother, I think it’s fair to say many of us struggle to maintain our sense of ‘self’ & ‘style’: Our shape is changing rather rapidly-something that is both awe inspiringly beautiful, yet slightly terrifying at the same time. I’m a fan of the ‘capsule’ wardrobe, so the prospect of having to buy tons of different clothes to sustain me throughout these multiple stages-was a bit of a nightmare. Not to mention it can be a rather expensive practice. Therefore, I have always advocated the importance of maintaining your individual ‘style’ over ‘fashion’ & buying a couple of investment pieces, that will stand the test of time & are versatile enough for this. This is the mantra I live by (whilst obviously staying within my budget). But I do think you’ll often ‘get what you pay for’ with the quality & longevity of the fabrics. So this is one of the key points I was impressed with Keungzai for: their range has plenty of scope for women of all shapes, sizes & stages of life. Other brands you’d have heard me mention here before, that fulfil my ‘mantra’ are Issabella Oliver, Baukjen & Hush (to name a few!). ‘Tramp in Disguise’ This ‘cover up’ was beautiful. 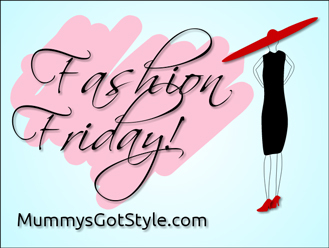 What are your Capsule wardrobe go to brands? I love discovering new collections to add to my wish list!